It is with extreme pleasure I announce this release. Ever since I first heard this, I was hooked. To me this was pop music should be. Here I found lots of guitars, a hammering rhythm machine, and lyrics about desolation, drugs, suicide but also 'plopmusic', whatever that was. That was in 1982 and throughout the years I have been cherishing this cassette only release (by the legendary Dutch label Ding Dong Records & Tapes). Andre played all of the music himself using 'sound on sound': you play a bit, loop it and play something else on top. Besides this cassette, he released on the same label a 7" single and delivered some pieces for compilation cassettes. Then he seemed to have disappeared as suddenly as he arrived. Vanished it seemed. About ten years ago I thought it would be great to have this on a CD or LP. 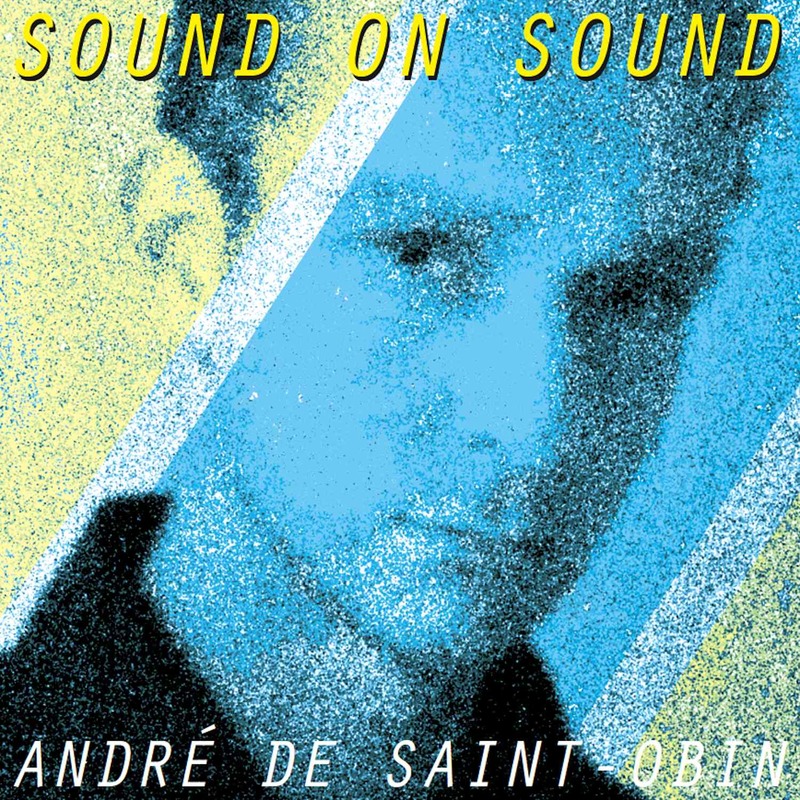 I spend hours browsing the Internet to find Andre de Saint-Obin and a few years ago I found him. It still took three years to release this. Partly due to the difficult nature to re-master this music (of which no multi-track tapes exist - obviously), partly because of the free-spirit nature Andre is these days, but now there is a LP with the original thirteen tracks of the 'Sound On Sound' cassette and along with the LP you get a CD with those thirteenpieces as well as five bonus pieces. CD and LP can not be purchased separatly. The 7"'Human Machine" is not part of this package and is only available through download in all the known stores. This is a limited edition of 500 copies, pressed on 175 gramms vinyl, with full colour insert. 250 copies are available from Korm Plastics for Europe/Japan/world and all US/Canada customers are directed to Aquarius in San Francisco for the other 250. We do not ship into the USA.